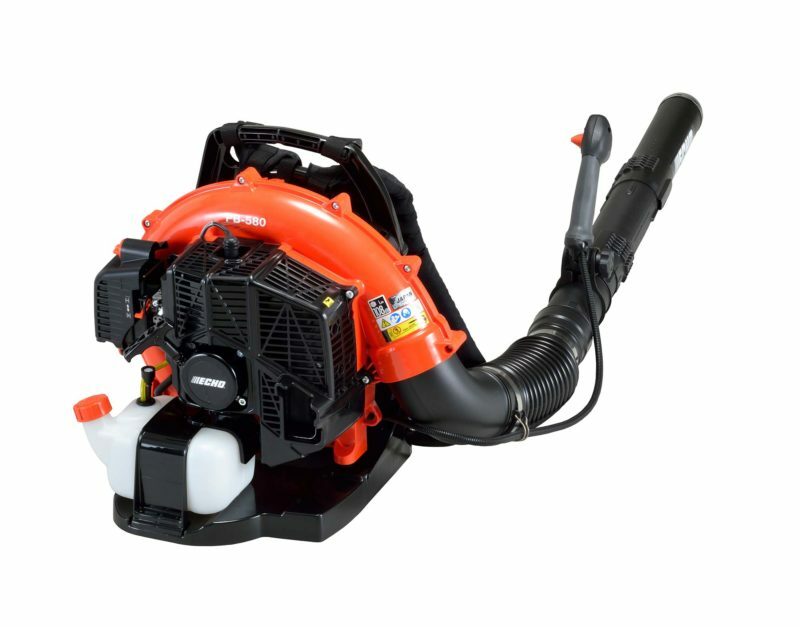 Echo PB-580 Blower, Features include a 58.2cc engine with an output of 2.05kw, dry weight of 10.3kg. The air speed can reach upto 96.4m/sec (straight pipe) and 93.8m/sec (bent pipe). Echo developed the first handheldand backpack blowers, the company is constantly working on enhancing both performance and comfort.